Kit is PRECUT and ready to install in BAY GRAY (shown in Matte Black) - NO TRIMMING required! This stripe package is not just a rectangle of vinyl in a box. Our graphic kit consists of prefitted and contoured pieces as shown in product image(s).. 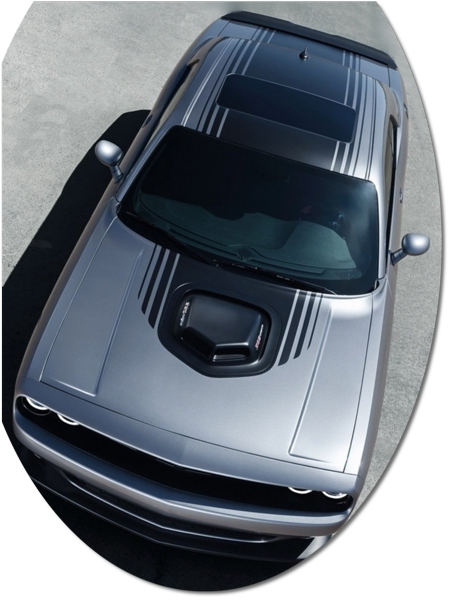 Kit is specifically made for the '08-Current Dodge Challenger as noted in Graphic Application Chart and will not fit any other vehicle. Roof Kit shown is optional.